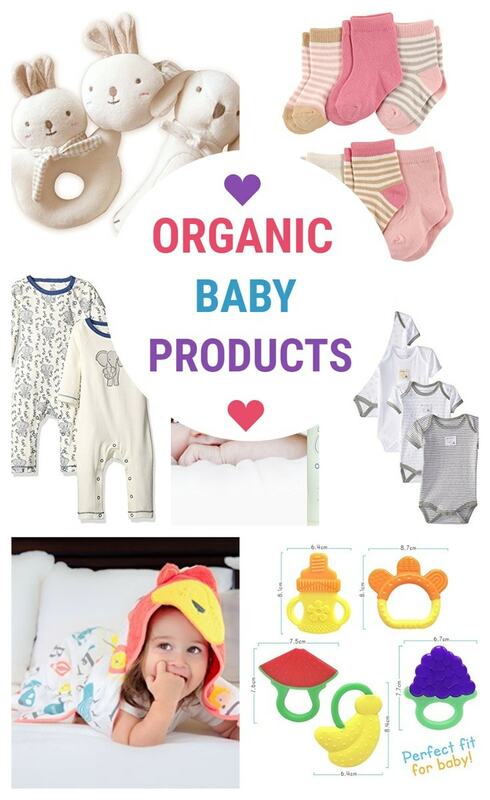 Looking for the best organic baby products? 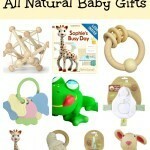 We share our favorite quality, adorable organic baby gifts! New Moms and Dads are becoming more and more aware of all of the unnatural, toxic items in their everyday environments, and are moving toward natural and organic any time they can. That’s why we’ve created this fantastic list of the 10 best organic baby products to help you find some great gifts. Enjoy! 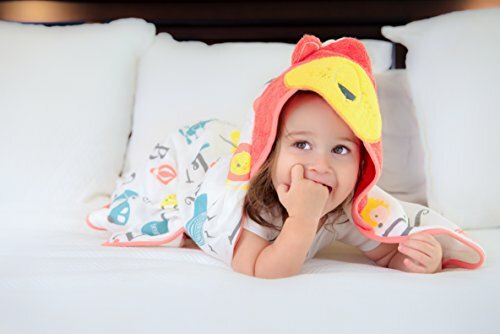 It’s short, and easy to shop, since we’ve already found what we think are the best organic baby clothes, baby food, and even the best organic baby crib mattresses and more. 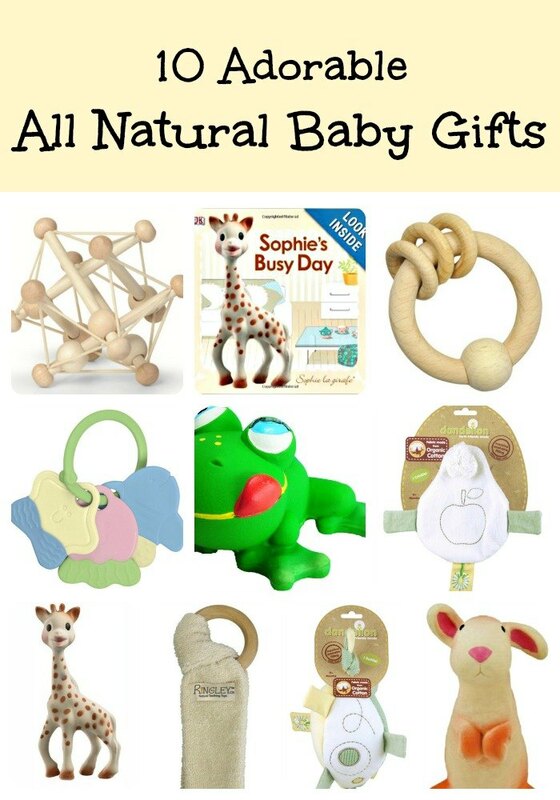 Anything you find here would make a fantastic organic baby gift! You can buy everything on this list on Amazon. Enjoy! Here they are, our 10 top organic baby products. These Burt’s Bees Baby Unisex Baby Short Sleeve Bodysuits are organic, adorable and hugely popular with new parents. 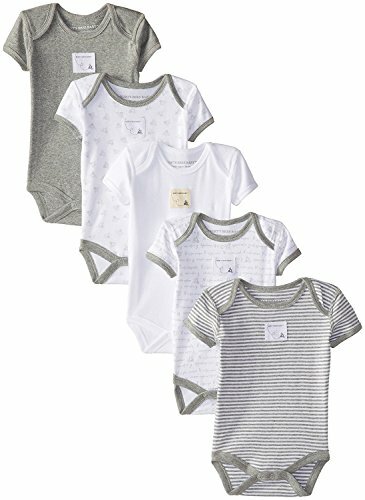 They’re made from a soft organic cotton, with flat-lock seams for smooth, flat edges against delicate baby skin, and nickle free snaps. This is a great value for a set of five organic bodysuits. See prices and reviews now. 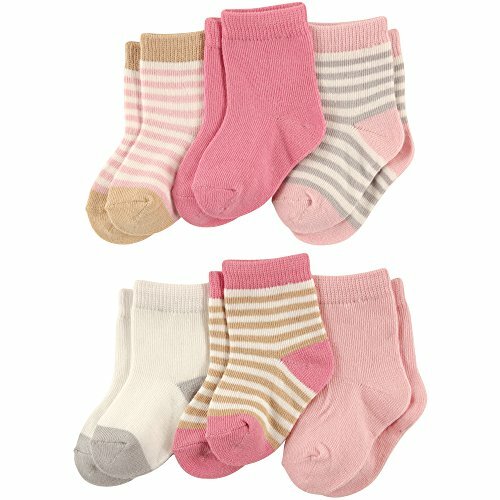 These adorable organic Touched by Nature Baby Organic Cotton Socks come in almost any pattern or color you’d like. They’re machine washable, and made of an organic cotton, polyester and spandex blend, and stretchable for a better fit. Parents say they’re super soft and comfy. 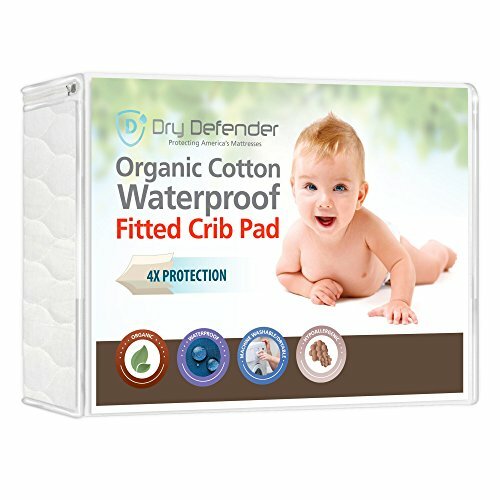 This Dry Defender Organic Cotton Waterproof Fitted Crib Pad is a great choice for new parents. It’s unbleached, non-toxic and hypoallergenic soft organic unbleached cotton. Just as great, it’s a 100% waterproof crib pad protector cover, meaning fewer nights dealing with a soaked mattress in baby’s room. This Puracy Organic Baby Lotion is a clinical-grade moisturizer that’s made for newborns, infants, toddlers, and children. It’s a light lavender and pink grapefruit scent made with essential oils. Even better, it’s plant based, non-toxic, hypoallergenic, vegan, gluten-free, and biodegradable, and made in the USA. See more reviews and prices now. Every mom knows that burp cloths are a necessity with a new baby. These 100% Organic Burt’s Bees Baby – Burp Cloths are the best of the bunch, we think. They’re 2 ply for added thickness (to catch all of that late night spit up! ), plus they’re GOTS certified, breathable cotton, which makes them wonderful on baby’s sensitive skin. They come in several color choices. 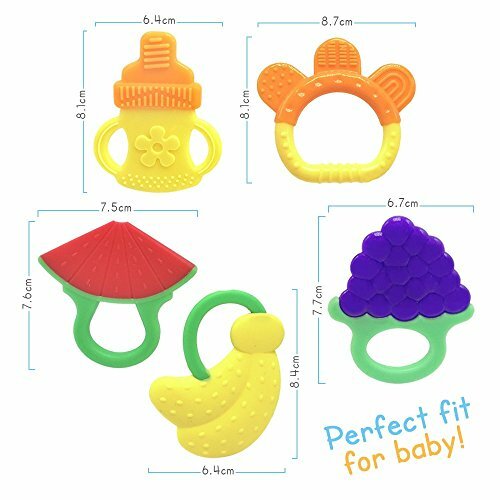 This 5 pack of Ashtonbee Silicone Baby Teething Toys is a huge hit with new parents. They’re bright, colorful, fun, and 100% BPA, BPS, PVC, lead, and phthalates free. Even better, they’re freezer safe, and designed for babies 3 to 13 months, infants and even toddlers. Be sure to check out these natural teething remedies as well! These adorable Organic Bamboo Baby Hooded Towels by Clover & Sage come in several designs, including Alphabet Lion. They’re made of organic, quality rayon from Bamboo materials, and soft to the touch. 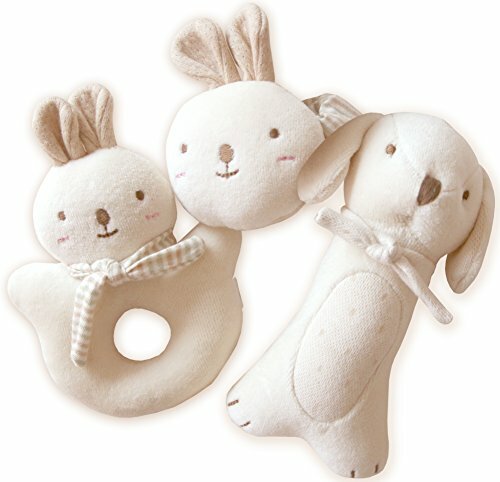 This adorable Organic Puppy & Baby Rabbit Rattle Setis 100% organic cottom, with no dyeing natural organic cotton. It’s super soft and eco friendly, and easy to wash. There’s a 100% satisfaction guarantee. 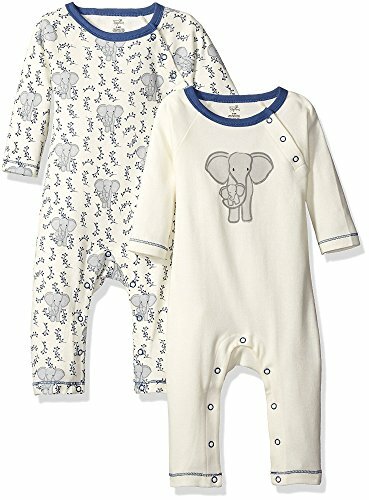 Parents and baby with both love this Touched by Nature Baby Organic Cotton Union Suit. It’s 100% Cotton, organic, and comes in plenty of adorable prints and colors. 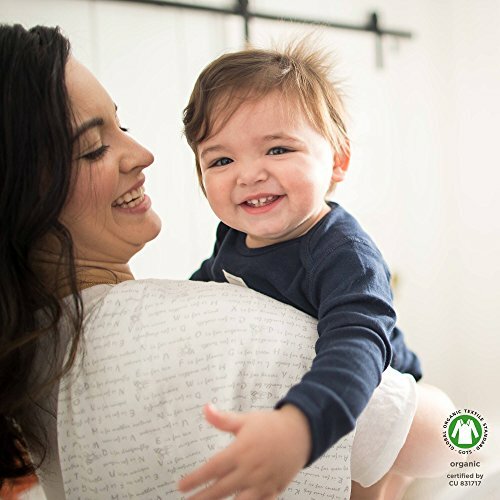 It’s machine washable, and comes with two organic union suits in sized 0-24 months. 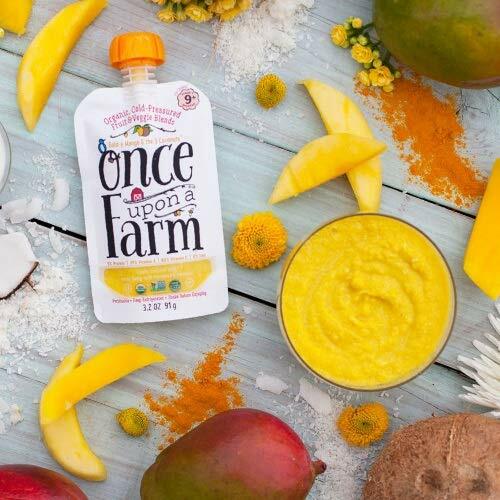 New parents rave about Once Upon a Farm organic baby food pouches. Flavors include strawberry, mango and coconut. They’re great when you don’t have time to make your own baby food, and they’re certified organic. They’re cold pressed to help capture important nutrients and great taste. See reviews and prices here.